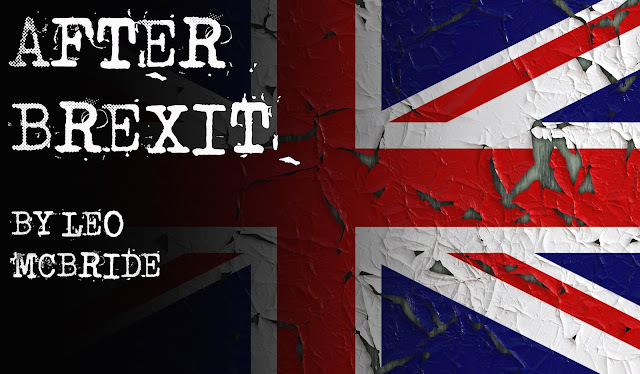 Something a little different on the blog today - a story that was commissioned for me to write about a specific subject: Brexit. As that particular matter rumbles on, I present it here on the blog. Not my usual kind of writing, but a story I was asked to write. And as it stands at the moment, one that still has no sign of a happy ending. THE old man was a newcomer on the beach. You could tell, the way he looked a little out of place, even as he tried to fit in. I had said good day, he looked a little surprised. By the third day, he was saying it back as we passed on our mutual walks. On the fourth, I introduced myself. He was British, and laughed about how he’d moved because things had changed so much there. As we walked, I asked what he meant. “Well, Brexit of course,” he said. It could have been worse, he said, though in the years afterwards it was hard to imagine how. The pressure for some kind of deal, any kind of deal, meant that the worst prospect of Britain leaving the EU without any kind of agreement was avoided, even if it was at the cost of a second Prime Minister being forced out. Leaving without any deal would have been twice as bad for the economy, he said. As it was, about five percent of the UK economy was wiped away, almost at a stroke. He’d been a supporter of leaving, and at the time, he admitted, he thought that was the worst it would get. He was wrong. Before Brexit, people were free to move across Europe. Afterwards, even with a few reciprocal agreements put in place, swathes of European citizens packed up and left, taking their skills and their businesses with them – while a host of retirees who had been living in Spain came back, bringing the medical bills that inevitably follow an older population with them. That meant less tax income from those who left, and more costs for those who arrived. Businesses struggled after Brexit. Trade deals don’t just appear overnight – and one of the promises of Brexit was that the UK would have better deals than they had as part of the EU, which meant diplomats went knocking on doors offering worse terms to overseas markets than they had before. It didn’t make them welcome. Banks uprooted and moved to the European mainland – or to Dublin, he said. He had been one of those working in finance – his job disappeared within six months. By then, the country was just about tipping into recession. The country’s GDP plunged, dropping below France and India in the world rankings. Some of the scare stories hadn’t come to pass – such as the concerns about medicine shortages. The scare had served a purpose, though, pushing the government to ensure adequate stocks were in place for the transition period during which they could sign deals for new supplies. The deals were rushed, and not on the best terms, but more of the shortages had come before the final deal as pharmacies stockpiled rather than issued prescriptions. They likened it to the Millennium Bug panic, when IT crews worked hard to ensure computer systems didn’t crash the world over as 99 rolled over into 00. There were other shortages – it became harder to find workers. Between the departure of many European citizens and the lack of incentive for others to arrive, businesses started to find it harder to fill vacancies. The farm sector was particularly hard hit, where foreign workers had been a big part of the workforce. Some of that continued, with illegal workers being smuggled in to work off the books, but the legal way faced a struggle. The health service faced a real struggle to find staff until finally the visa caps were lifted – that perhaps had been hardest on the country. My companion hadn’t returned to work – but he’d been lucky enough to have reached an age where he could just about retire. The blow to the economy took a chunk out of that fund, but he found odd bits of employment to make up for the shortfall. He paused in our stroll along the beach, to look out at the sea as the water began to ebb away from the sand. One of the consequences that hadn’t really been thought through, he said, was the way that those who stirred up Brexit hadn’t stuck around to support it afterwards. Oh sure, there had been journalists who had warned of some of the ways in which foreign influences had a hand in the Brexit debate, the same way it was claimed that the Trump campaign in the US was influenced by Russia. But afterwards that same outside influence went on to support other ways of weakening the UK. Groups supporting secession of Scotland and Northern Ireland found their coffers swollen by unexpected money, and their online campaigns stirred by hands promoting their goals for their own interests. Those furtive supporters hadn’t had the goal of supporting Brexit, but of weakening rivals. Scotland stuck with England in the end, by a fine margin in a referendum, but Northern Ireland was well on the path to breaking away and uniting with the Republic. Perhaps the only blessing there was that terrorism hadn’t reared its head again, though it was a close run thing. I asked him if it was worth it, in the long run, and he paused, looking out to the sea for a long time before answering. With that, we parted ways, and I walked down the beach, looking back from time to time as I went. There was little to see, just an old man, gazing out to sea, wondering when the tide had turned.